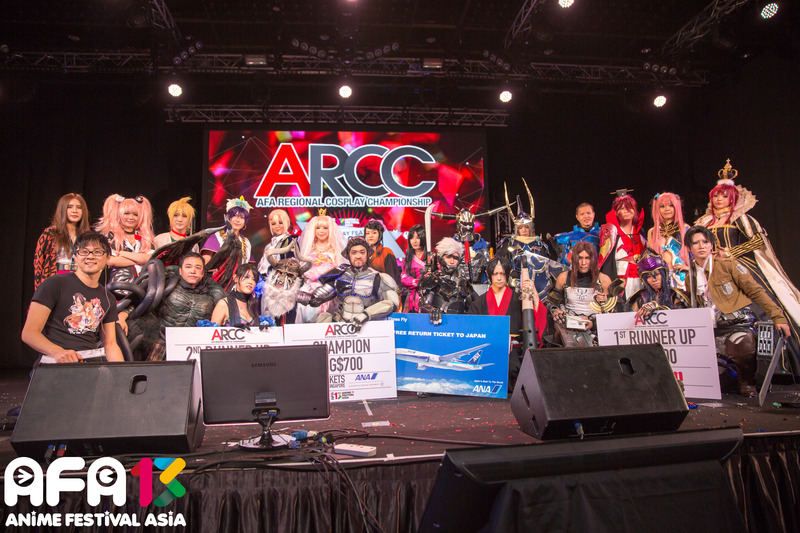 Due to the amount of content available for the day stage, we have had to adjust the competition timing for ARCC. As a result only 5 finalists will be competing instead of the original 10 as stated previously. Our organising team will be contacting you separately with further details! 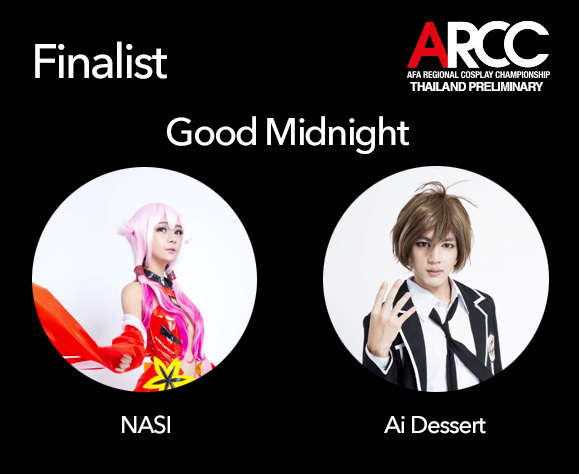 Good luck, see you at AFA Thailand. 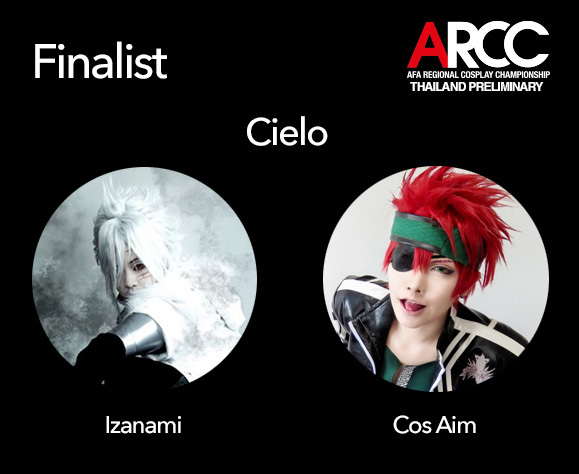 Anime Festival Asia Thailand 2015 will be hosting the preliminary round of AFA Regional Cosplay Championship. 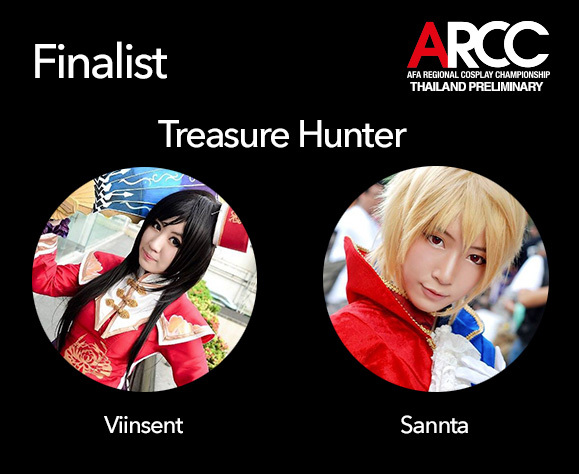 The competition to find the best cosplayers in South-East Asia. . For any question you may have regarding the rules, please contact us at contact email. 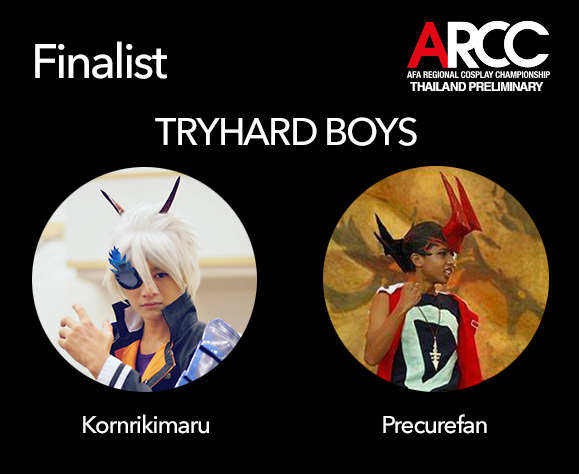 The winner will continue to compete in ARCC Finals in Singapore. Competition is open to those residing Thailand only. Contestants may bring their own sets/stage props to be used in the performance. 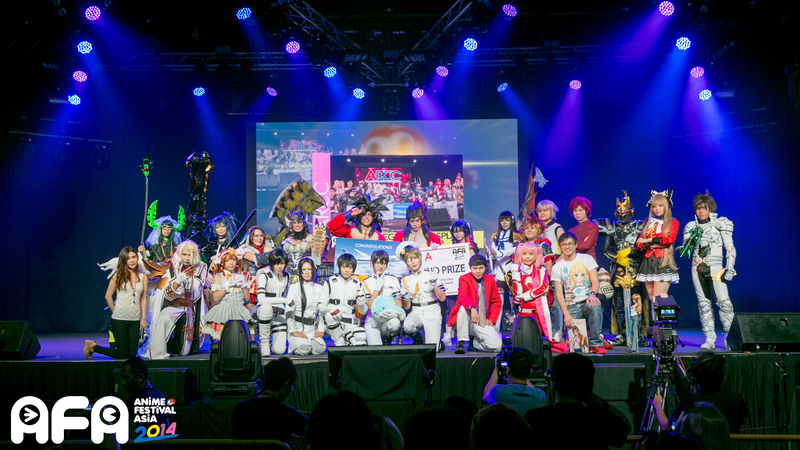 Each competing category is limited to maximum 3 pieces of set and they have to be declared to the organizer upon confirmation of contestants as finalists prior to the tournament. The setting up of sets must be manageable by 2 contestants + 2 female helpers. Contestants are to engage their own helpers, limited to 2 helpers, to aid them in preparation, setting up for their performance. 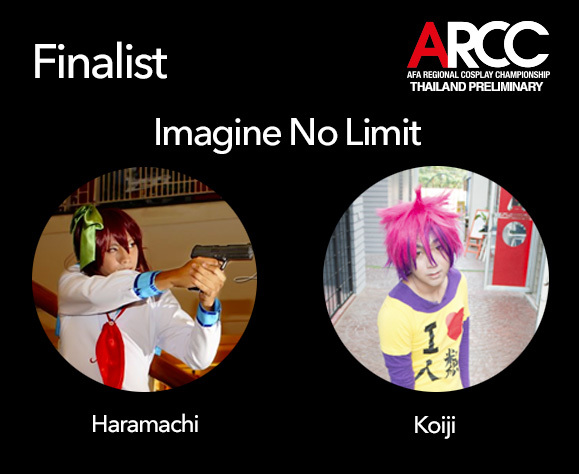 Participants will be judged based on photos and 30 second video of draft performance. Digitally edited photos will bear a score-penalty determined by a case-to-case basis.Wearing at least 50% of costume in video is required. Entertainment value will take up 15% of the performance score. Technical directions will take up 10% of performance score. The effective and appropriate use of backdrop video will take up 10%. The quality of the costume will be reviewed in backstage before the performance. The score will be on whether the character is suitable for the contestant.